Cyprus Marathon is an event that has grown bigger and better over the years and it is now recognized as the major road race in Cyprus. 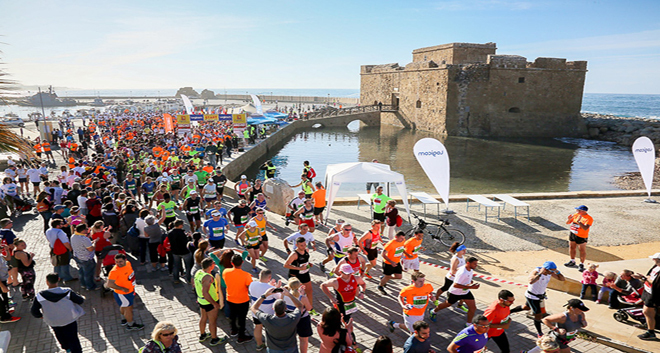 Run in the historic city of Pafos (Paphos) and finish strong at the Pafos Mediaeval Fort square! Combining breath-taking and historic scenery with the traditional Mediterranean hospitality! 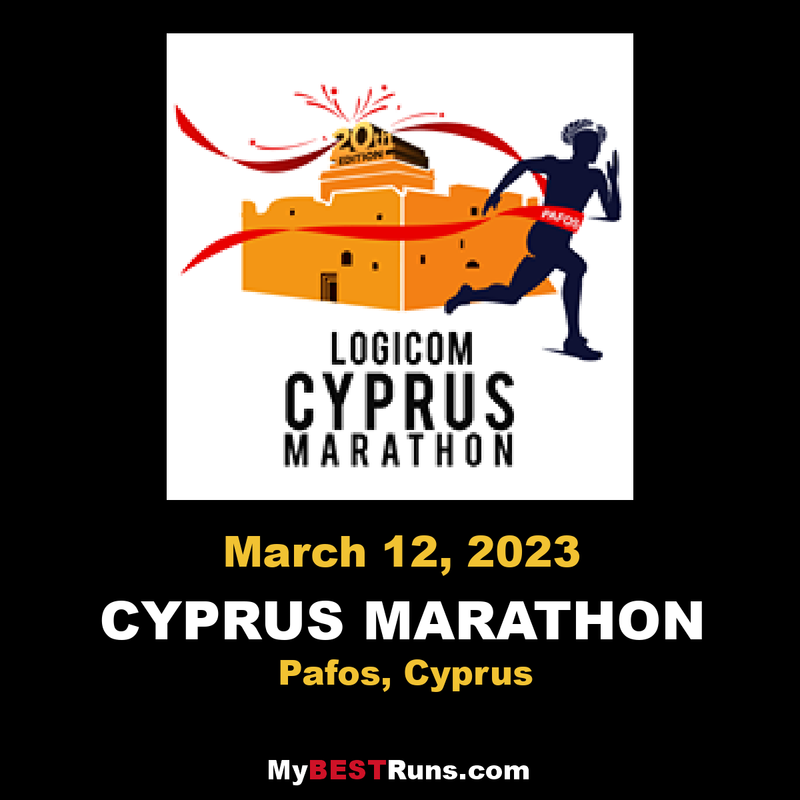 The Logicom Cyprus Marathon starts at Aphrodite’s Birthplace (Goddess of Love and Beauty) and follows a coastal route along the Mediterranean sea. The picturesque finish line (and start line of the other races) is the Pafos Medieval Fort Square right next to the the beautiful Pafos Harbour. Run in the Logicom Cyprus Marathon to fall in love with running! The Cyprus Marathon is held in Pafos,Cyprus. Among the races include: Half Marathon and 10K . This historic, cultural and beautiful Mediterranean island offers the perfect weekend get away and chance for some winter sun. After years as a British colony English is widely spoken and they drive on the left!With the choice of 3 distances. The full Marathon starting at the birthplace of Aphrodite, the Greek Goddess of love and beauty - the Half Marathon and the 10K, both starting and finishing in Pafos itself. This makes it a perfect venue for Running Clubs and Groups where everyone gets to choose the distance that suits them.The Greek name, Petra tou Romiou "The Rock of the Greek" the start and finishpoint is associated with the legendary frontier-guard of Byzantine times Digenis Akritas, who kept the marauding Saracens at bay with amazing strength. It is said that he heaved this large rock into the sea destroying the enemy's ship.